Congratulations to Margaret Donovan, Aherlow, Tipperary. Margaret is the winner of a brand new Renault Clio! If you haven’t signed up for the member’s car draw yet, simply call to any of our branch offices and fill out the Car Draw form. 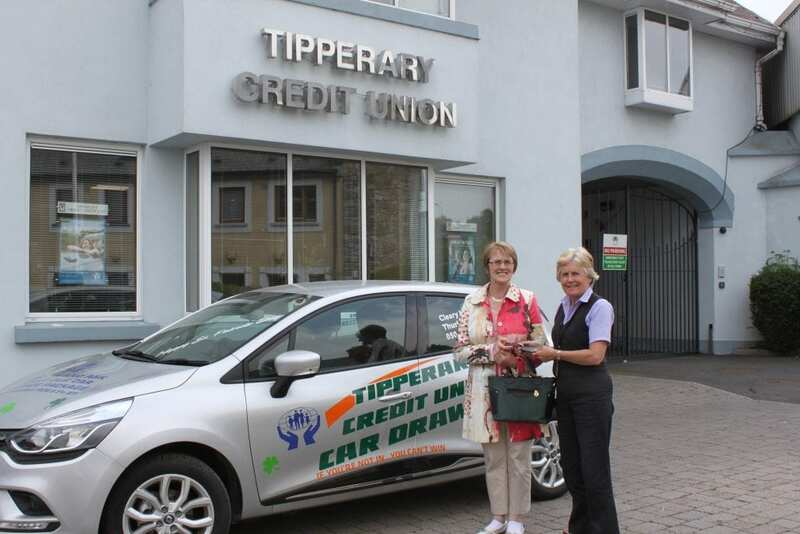 At only €24 per annum for six draws, our members car draw is exceptional value for money.Tipperary Credit Union’s car draw is exclusive to members only which gives you an even greater chance of winning one of the superb cars on offer.